Gabriela – 12 years old. “Gabriela had a wonderful time on the Carnival Cruise. Our contact person on board, Mr. Fernando from guest relations, was very helpful. 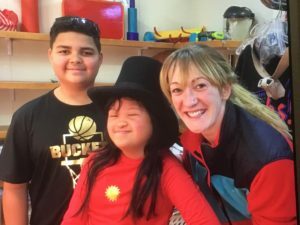 Gabriela was warmly greeted by almost every department on the ship. We were granted two shore excursions one in Freeport and one in Nassau that was great! 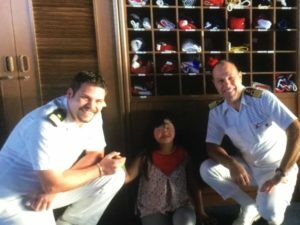 The cruise director offered a backstage tour – Gabriela visited the bridge, met the captain and had a spa makeover. Everyone was fantastic and the cruise photographer offered a portrait session which was absolutely gorgeous”.